Indian railway network is one of the world’s largest railway networks and most of us may not be aware of the grand railway stations India treasures. The Ballarshah and Chandrapur railway stations in Maharashtra are the most beautiful railway stations in India. According to a statement from the ministry, these stations have been adjudged winners of the national transporter’s in-house station beautification contest. 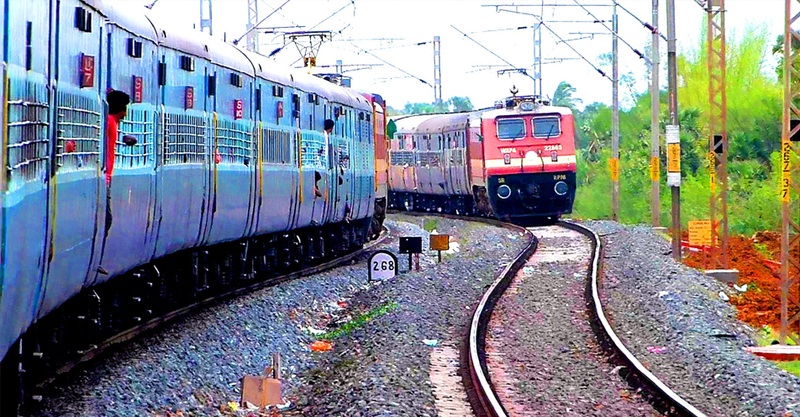 Madhubani station of Bihar and Tamil Nadu’s Madurai station are in the second spot. The third prize has gone jointly to three stations – Gandhidham in Gujarat, Kota in Rajasthan and Secunderabad in Telangana. The Nagpur Division of Central Railway has beautified the Ballarshah and Chandrapur railway stations with paintings, sculptures, and murals based on wildlife at the Tadoda National Park and local tribal art. The first prize winners will be awarded a sum of Rs 10 lakh, second prize winners will get Rs 5 lakh and the third prize winners will be given Rs 3 lakh. The beautification project of railway stations was introduced with a view to making railway stations look more inviting and attractive.